How Ngirita Family Spent Sh361m NYS Loot as Sh250m "Goes Missing"
The State is unlikely to recover more than Sh250 million of taxpayer’s money that was looted from the NYS by members of the Ngirita family. 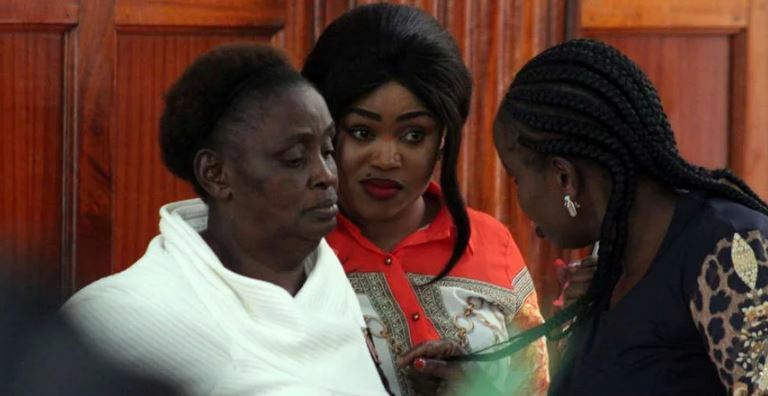 Three members of the Ngirita family; Ms Phyllis Njeri, Mr Jeremiah Gichini Ngirita and their mother Mrs Lucy Wambui Ngitira received Sh361 million from the NYS between November 2015 and April 2018. Of the amount, the Assets Recovery Agency has only managed to trace properties of less than Sh100 million. According to documents filed in Court, the state was able to recover and freeze five parcels of land in Nakuru, Naivasha, and Trans Nzoia and three Toyota cars all estimated at Ksh95 million. The Business Daily reports that sources at Assets Recovery Agency (ARA) say the Ngiritas moved huge amounts of cash before a decision was made to charge them in a group of 54 persons. The documents also indicate that Mrs Lucy Wambui Ngirita received Sh211 million from NYS to KCB accounts belonging to her firms, Waluco Investments and Ngiwaco Investments. Mr Jeremiah Gichini received Sh87.9 million between December 2015 and April 2016 through his company Jerrycathy. Ms Wambui transferred Sh58 million to her personal account at KCB before splashing Sh46 million on a plot in Naivasha. She spent a further Sh7 million on a plot in Nakuru. Together with her son Jeremiah, they purchased 0.70-hectare parcel of land in Waitaluk in Kitale for Sh20 million. Jeremiah spent his loot on plots in Naivasha and Nakuru for Sh2.5 million. ARA documents further reveal that Ms Njeri received Sh57.2 million from NYS into her personal account which was contrary to procurement laws. “This is a clear case of fraud as there is no evidence of goods or services procured by NYS,” says ARA. The Sh361 million loot was split into 79 transactions in a scheme designed not to raise the red flag.